This has been one of the most asked questions and requested blog posts as of late. 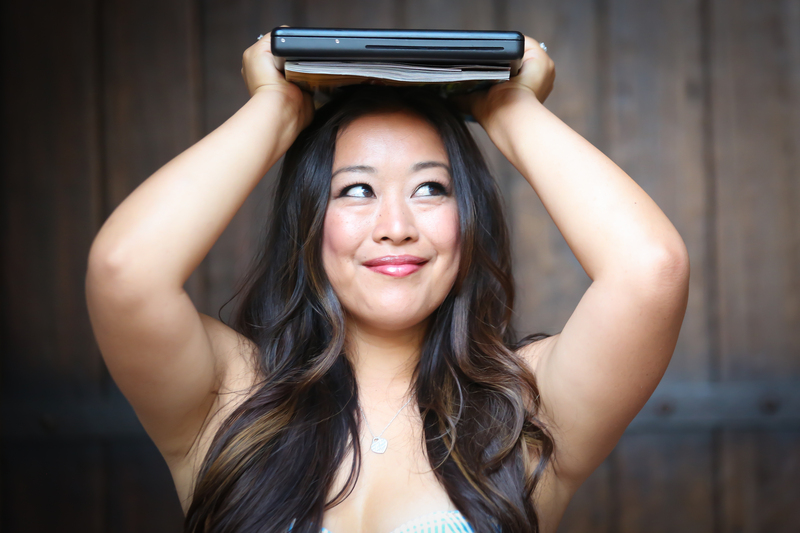 So I was able to compile a small questionnaire featuring Kreithchele Barnard (@krangele on Poshmark) who was a workshop speaker at this past 2016 Poshfest, she is also a CPA (inactive) with an MBA and elective studies in Taxes and Business Strategy. 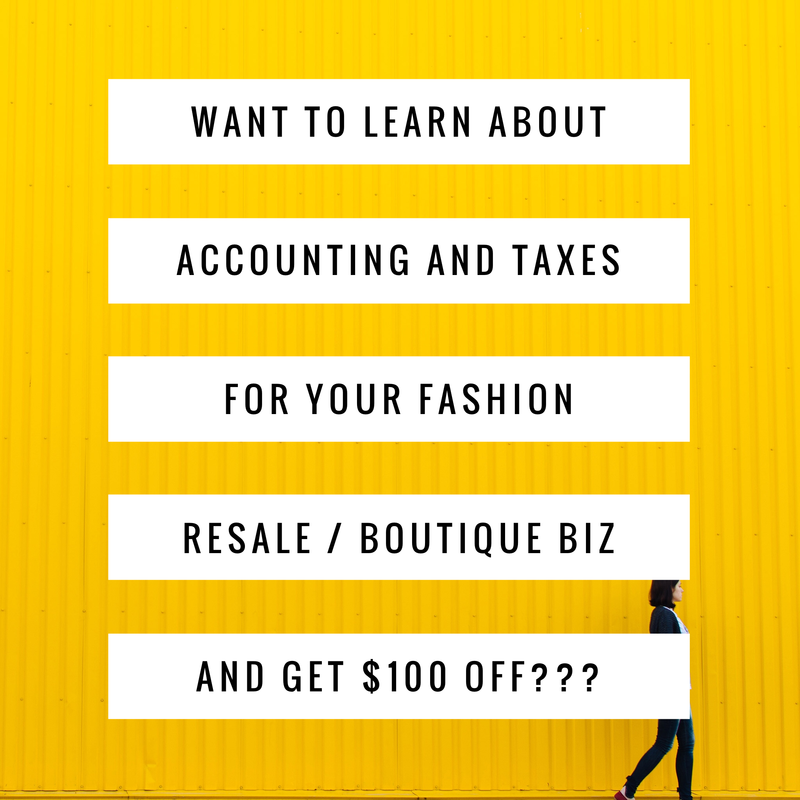 Currently she is teaching accounting at Santa Ana College in Santa Ana, CA and is working on her online course Accounting For Your Fashion Resale / Boutique. Her workshop was the most sought after at Poshfest but unfortunately was cut rather short due to delays. So thankfully, I have her here with me answering a few basic questions that I have accumulated from other users to help you decide what to do come tax season. Tax season is up ahead, and you need to know how to file if you are making money on Poshmark. HGF – The BIG question everyone is asking around this time is: Should I be filing taxes to include my Poshmark sales? KB – Yes. Anytime you have income from any source you should include in your income. However, if you have a loss be careful. The IRS doesn’t like to see losses on a schedule C to offset income. HGF – Without going too much into detail, what are some basic things people should be tracking if they do plan on writing things off? KB – Pretty much everything – anything you buy that goes into your business. Office / shipping supplies, cell phone bill, gas, etc. If you go to an event that is Poshmark related such as a Meetup, or Poshfest – registration fees, hotel, travel, etc. HGF – How important is keeping track of your sales, profit, and investments for newbies? KB – Depends on where you’re at -if you’re doing it as a hobby, for fun or don’t care what you make, then it’s not important. But if your activities are headed towards business, then it’s important so that you know what to report for income taxes and sales taxes. If you’re selling stuff from your own closet and basically selling it at less than you bought it for then it’s really a hobby. But if you start buying stuff with the intention of selling it for profit, then you’re going into business mode. This includes thrifting. If you go to Goodwill and buy something with the intent to resell then you’re really into business mode. What forms do you need if you are filing your Poshmark income for your taxes? HGF – At what point should someone get a business license? KB – If you are conducting ANY type of business you need a business license. So get one when it’s no longer a hobby and when you’re buying stuff to resell/flip. HGF – How would someone file their taxes if they are going to claim their earnings from Poshmark? KB- Depends on the type of entity your activities or business is – if it’s a sole proprietorship, LLC, or S-Corp.
HGF- Items above aren’t covered here in detail at HealthyGirlFashion.com but if you’d like to know more, then you can pre-purchase Kreithchele’s Accounting For Your Fashion Resale / Boutique Online Course. HGF – Where can I go to take your Online Course? KB – The course will be available in May and already has an active private Facebook Group. HGF – For those who have purchased the course, they can ask questions, have discussions, etc. She also does a Facebook livestream for any questions that anyone in the group has. The course is $147 + $25 for Facebook Group access, but currently taking pre-orders for $62 (Course & FB Group) with full access to the Facebook group and discussions NOW. The pre-order price of $62 will be available until March 2017 so book now! When the course is ready, you will receive a code to grant you access to the course at no additional charge (since you are pre-paying now). HGF – There you have it ladies! Sign up as soon as you can to get that course, because we all know you’re thrifting and selling, and making some big cash! Don’t neglect your taxes! I personally have already signed up for the course and am ready to go, so I hope you sign up too! I mean, where can you get someone readily available to answer your accounting/tax/business questions, get a quick answer right away, with a set course, Facebook group & discussions + is a Posher herself?! I personally would like to thank Kreithchele for answering a few questions for us here are HGF. If you have some burning questions, put them down below in the comments I’ll get them answered as quick as I can! Also- please put down your closet name below! We love checking out your closets! Previous PostA #PoshLove Story: @ediza & @wheelsinthewellNext PostPoshmark Tip of the Day: Re-list, Re-list, Re-list! My question is, if I buy something wholesale (from an outside wholesaler where I do not pay tax) and then resell it on poshmark, how do we collect taxes from that to report? Or does poshmark collect taxes and the seller does not need to worry? If you know of any articles to read that would be great!! Thank you! Thanks so much for reading! The taxes you would claim would be on the profit of the items you sell. So you bought 100 shirts at $5 each = $500. Then you sold them all for $20 each making a total gross at $2000. You would claim taxes for the $1500 profit unless you would have deductions, and figure that into your net profit and file those earnings. Ediza- I just stumbled upon your blog a few weeks ago as I am starting to sell on Posh. Congrats on your success and lending a helpful hand in giving other Posh sellers advice. However, I have to wonder if Ms. Barnard is an ex-IRS officer or she just has a knack for smacking fear into people who are trying to earn some income legally and off-line. Folks who are selling on Poshmark (I cannot speak for Boutique sellers) whether it be used clothes from their closet or taking weekly trips to Goodwill to make their $1 turn to $2, the IRS is the last group of people you need to be advertising this to!! Why would someone willingly hand over money to the IRS when they technically do not have to?? This is just one more way for them to reach their hands into your hard earned money. It’s used clothing for Christ sake! Unless you are making some spectacular 6-figure income from doing this, the IRS will never know about your income from doing this. Do you get what I am saying? It baffles me that small-business people are not more savvy and anti-IRS/establishment. Please do not be fooled into thinking you owe these crooks (IRS) a dime from your Posh sales! Sorry if I sound harsh, but I am a protector of the little guy and small business owners. I work with them on a day to day basis and when they don’t have to pay the IRS, my God they are not going to pay the IRS. Thank you SO much for this information!! My closet on Poshmark is @stevensonkatie. I do have a tax question – do you know if Poshmark is collecting and remitting sales taxes? Thank you for another great informational post Ediza. My closet is @flippinfabulous. I have a question. Occasionally I will see someone offering FREE shipping in their closet. Just wondering how can you do that if the shipping automatically comes up when you sell something? When a buyer asks you for free shipping, then they’re asking you to lower the price of your listing to subtract the cost of shipping. It’s up to you to do that, but I would just have them make an offer of that price. Otherwise they may not buy after you lower. Yeah! Let us know if you have any questions!